Excellent didcussion from real experts, not the typical talking heads. No hysteria. Just subject matter experts even-handedly discussing the big issues. This is an excellent podcast, presenting a range of learned opinions and expert testimony on a wide range of topics (diverse, but mostly touching national security and the law). No hype, no bluster, just well-informed and sincerely presented explanation. I strongly recommend it! On April 23, Benjamin Wittes hosted a panel discussion at the Brookings Institution unpacking what we learned from the redacted version of the Mueller report. The panel featured Susan Hennessey, Chuck Rosenberg and Margaret Taylor. They discussed the factual record Mueller established on Russian interference and collusion, whether the president's conduct constitutes obstruction of justice and how Congress and the American people might react to the report. The full audio of the event is available here. Michael Anton, former Trump administration national security official and a research fellow at Hillsdale College, has published an essay in Foreign Policy explaining what he calls the 'Trump Doctrine' on foreign policy. Recently Anton sat down with Jack Goldsmith to discuss the new article and the philosophy behind Trump's foreign policy, particularly with respect to liberal internationalism and international institutions. They discussed the administration's foreign policy successes and failures, how it's similar to and different from prior administrations in substance and in rhetoric, and whether the president's style and aversion to diplomatic norms inhibits the substance of his foreign policy. Ron has served his country repeatedly, including in senior positions at the highest levels of all three branches of government. He has served as a law clerk to Supreme Court Justice Byron White, Chief Counsel of the Senate Judiciary Committee, Chief of Staff to Vice Presidents Joe Biden and Al Gore, and in that role, also served as a senior advisor to Presidents Barack Obama and Bill Clinton. He has worked on seven presidential campaigns, including the 2000 election between George W. Bush and then-Vice President Al Gore. Today, among other things, he is an adjunct professor at both Georgetown University and Harvard Law School. Ron takes us on a trip down memory lane to discuss the hotly contested 2000 election, and in doing so, he shares his perspective on why he thinks the Supreme Court's decision departed from the rule of law. Ron also worries that our democracy is caught in a symbiotic downward spiral together with the rule of law. From active measures being deployed by foreign adversaries, to partisan political efforts to rig the system, Ron is concerned about the future. The Justice Department released on Thursday morning a redacted version of Special Counsel Robert Mueller’s report. The Mueller team divided the report into two volumes: one on Russian interference and potential coordination with the Trump campaign, and the other exploring the president’s conduct in relation to the investigation. Each volume features its own executive summary, chronicling the investigation’s central findings and conclusions. On this special edition episode of the Lawfare Podcast Benjamin Wittes reads those executive summaries in full. It’s a Mueller Report instant audio-book. Since November, Lawfare Contributor Michelle Melton has run a series on our website about Climate Change and National Security, examining the implication of the threat as well as U.S. and international responses to climate change. Melton is a student a Harvard Law school. Prior to that she was an associate fellow in the Energy and National Security Program at the Center for Strategic and International Studies, where she focused on climate policy. She and Benjamin Wittes sat down last week to discuss the series. They talked about why we should think about climate change as a national security threat, the challenges of viewing climate change through this paradigm, the long-standing relationship between climate change and the U.S. national security apparatus, and how climate change may affect global migration. Julian Mortenson, Professor of Law at the University of Michigan, is the author of a remarkable new article entitled "Article II Vests Executive Power, Not the Royal Prerogative," forthcoming in the Columbia Law Review, and available on SSRN. Recently, Benjamin Wittes spoke with the professor about the article, which Mortenson has been working on for years—as long as the two have known each other. The article explores the history of exactly three words of the U.S. Constitution—the first three words of Article II, to be precise: "the executive power." Huge claims about presidential power have rested on a conventional understanding of these three words. Julian argues that this conventional understanding is not just partially wrong, or mostly wrong, but completely wrong, as a matter of history. And, he tries to supplant it with a new understanding that he argues is actually a very old understanding of what those words mean. Thanks to our sponsor Blinkist. Get your 7-day free trial at blinkist.com/lawfare. On Thursday morning, Susan Hennessey spoke to former FBI director James Comey about encryption, China, Attorney General Bill Barr's comments to the Senate about the opening of the Russia investigation, and more. Attorney General Bill Barr announced on Wednesday, April 10, that the Mueller report will be released next week. While we wait for the release, Quinta Jurecic and Benjamin Wittes have written a "Memo to the Press: How Not to Screw Up on the Mueller Report." Jurecic and Wittes argue that the press got lost in the confusion of Barr's letter to Congress announcing the special counsel's top-line conclusions, and they offer nine principles for how to "[do] better the second time." You can listen to Quinta Jurecic read that article in the latest edition of the Lawfare Podcast Shorts. British Ambassador to the United States, Sir Kim Darroch, sat down with Benjamin Wittes last week to talk about the alliance, particularly in moments of uncertainty for both countries. They talked briefly about Brexit, but they mostly discussed other key areas of mutual cooperation, like counterterrorism in the Middle East, countering Russian aggression, and what to do about a rising China. From 1989 to early 2017, Sue Biniaz was the lead climate lawyer and a climate negotiator at the State Department. She was also a key architect of the Paris Agreement on Climate Change, a UN-negotiated agreement designed to mitigate global warming, which went into effect in November 2016. In June 2017, President Trump announced his intention to withdraw the United States from the agreement. Sue sat down with Lawfare's Jack Goldsmith to talk about the early days of U.S. and international climate action, how the Paris Agreement came into force and the predecessor agreements that gave rise to it, how it was supposed to operate, and what impacts Trump's actions have had on international climate policy. Special Counsel Robert Mueller sent his report to Bill Barr on Friday, and the attorney general sent a letter to Congress on Sunday detailing the principal conclusions of the Mueller report. Benjamin Wittes talks about it all with Lawfare Executive Editor Susan Hennessey, former senior Justice Department official Carrie Cordero and former assistant attorney general for national security David Kris. The Mueller report is coming. We all know that. We don’t know what’s going to be in it. We don't know when it's showing up. Bill Browder, human rights campaigner and foe of Vladimir Putin, seems to get arrested whenever he travels abroad as a result of red notices and diffusion orders issued by Putin through the Interpol police organization. These incidents have highlighted the abuse of Interpol by authoritarian governments, and they raise a really important question: Should we be participating in an international police organization with governments that use that organization to harass and arrest their enemies? On this episode of The Lawfare Podcast, Benjamin Wittes speaks with two people with somewhat different points of view, although a lot of common ground: Bill Browder himself, along with Jago Russell, the head of Fair Trials, which has worked to reform Interpol and make it less susceptible to abuse. Bill argues for kicking the bums out and having police cooperation only between countries that observe civilized norms of law enforcement. Jago makes the case for mending, not ending, an inclusive international police organization. Benjamin Wittes sat down with Andrew Coan, a professor of law at the James E. Rogers College of Law at the University of Arizona. Coan recently published "Prosecuting the President," which traces the history of how special prosecutors and counsels work to keep the executive branch accountable for its actions. Ben and Andrew discussed the book, the Teapot Dome Scandal, the Whiskey Ring, and what all of that might mean for the future of special counsels. For the past year, Matt Waxman has been writing Lawfare vignettes about interesting—and usually overlooked—historical episodes of American constitutional war powers in action, and relating them to modern debates. These include the stories of St. Claire’s Defeat and the Whiskey Rebellion during the Washington administration, congressional war powers and the surprisingly late termination of World War I, the proposed Ludlow Amendment during the interwar years, and Eisenhower’s Taiwan force authorization. Ben Wittes invited Matt on the podcast to talk about them and how they fit together into a book broader project he's embarking on. If you’re tired of hearing the usual war powers debates, listen in. And even if you think you know a lot about constitutional war powers, you’ll learn a lot. On Tuesday, Susan Hennessey interviewed FBI Director Chris Wray at the 2019 RSA Conference. They discussed about how the Director views the cyber threat landscape 18 months into his term, his concerns about the threats posed by Russia and China, what the FBI is doing to protect the 2020 elections, and more. Political trends in recent years have seen a rise of right-leaning nationalism and populism around the globe, including in the United States. What are the sources of nationalism, and what are its effects on modern politics? On this episode, Lawfare founding editor and Harvard law professor Jack Goldsmith sits down with John Judis, editor-at-large at Talking Points Memo and author of "The Nationalist Revival." They discussed Judis’s book, including the necessity of nationalism in developed democracies, why right-wing nationalist and populist movements seem to be winning out over those on the left, and how Donald Trump successfully raised the profile of nationalist politics in the United States. It's hard to open a newspaper or turn on the television without hearing about the dysfunction and partisan polarization affecting members of Congress. But what about their staffs, and what does that mean for national security? This week, Margaret Taylor sat down with seemingly unlikely partners: Luke Murry, National Security Advisor to Republican House Minority Leader Kevin McCarthy, and Daniel Silverberg, National Security Advisor to Democratic House Majority Leader Steny Hoyer. They spoke about security issues facing this Congress, what staffers do on a day-to-day basis, and how the two of them actually work together. In this second episode of the special Culper Partners Rule of Law Series, David Kris and Nates Jones, the founders of the Culper Partners consulting firm, speak with Eric Holder, who served as the 82nd Attorney General of the United States from 2009 to 2015. Holder shares his perspective on the proper functioning of the Department of Justice, the balance between independence and political accountability, and a distinction between the role of the Attorney General as the chief prosecutor on the one hand and as legal advisor to the president, and sometimes to the National Security Council, on the other. He also remembers his own experience with congressional oversight and gives a frank assessment of how oversight is functioning today. He also critiques the two OLC opinions against indicting a sitting president, and he offers predictions about the Mueller report and his own upcoming decision on whether he will run for president. Each year, the International Institute for Strategic Studies (IISS) in London publishes The Military Balance, an annual assessment of the military capabilities and defense economics of 171 countries around the world. Last week, Benjamin Wittes sat down with Bastian Giegerich, director of defense and military analysis for IISS, who leads the research and publication of The Military Balance, which has just come out for 2019. They discussed Chinese military modernization, global defense spending and how it's changing around the world, Russia's violations of the Intermediate-Range Nuclear Forces Agreement, NATO, and cyber. It’s looking more and more like Robert Mueller’s special counsel investigation is finally reaching an end. The regulations under which he is operating require Mueller to write and submit a final, confidential report to the attorney general. Who, in turn, must then decide when and how much of the report to release to Congress and the public. No one outside of the Justice Department knows what will be in the report, which makes this the perfect to set ground rules regarding how people should engage this material, regardless of their political affiliations or view of the L’Affaire Russe scandal. Today, Susan Hennessey, Quinta Jurecic, Benjamin Wittes and I detailed what, we believe, those ground rules should be. 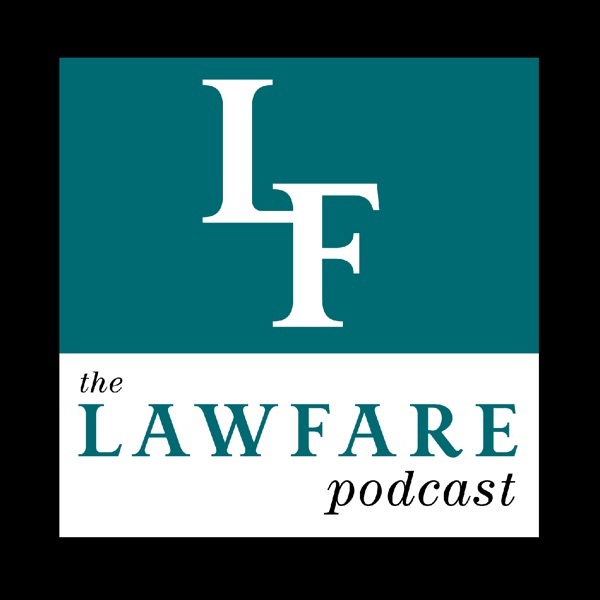 In the latest edition of the Lawfare Podcast Shorts, you can listen to that article in-full, read by one of the authors, Susan Hennessey. The Central Intelligence Agency, by its very nature, is a secretive organization, yet it has a robust public affairs and media relations operation. How does the agency resolve this tension? How do its employees, from the director of the CIA to the officers needed to assist in this effort, deal with the difficult questions of how open to be? To find out, David Priess sat down with Bill Harlow and Marie Harf, two former CIA officers who were in the middle of it all. Something a little different on the podcast today: the launch of a special series—the Culper Partners Rule of Law Series. David Kris and Nates Jones, the founders of the Culper Partners consulting firm, have recorded a limited-edition podcast series exploring various aspects of the rule of law, particularly as it relates to U.S. national security and criminal law enforcement. Over the course of several episodes, which we will be dropping into the Lawfare Podcast feed over the coming weeks and months, David and Nate examine topics including legislative and judicial oversight of the executive branch, the rule of law in counterterrorism, the relationship between law, economic security, and national security, foreign relations and the rule of law, and law and politics. Each episode features an interview with a current or former senior government official, or a leader in the private sector. In this first episode, Nate and David talk with Judge John Bates, Senior Judge on the United States District Court for the District of Columbia. Judge Bates has had a long and distinguished career in government and private practice, including work at two private law firms, as an Assistant U.S. Attorney in DC, and as Deputy Independent Counsel in the Whitewater investigation. Most recently, from 2013 to 2015, he was Director of the Administrative Office of the U.S. Courts. Judge Bates became a federal judge in 2001, and from 2006 to 2013 he served on the Foreign Intelligence Surveillance Court, where he was the court’s Presiding Judge beginning in 2009. On March 29, in approximately six weeks, the United Kingdom is scheduled to crash out of the European Union. As of the date of this podcast, there is no deal governing how that exit will work. To understand the stakes, Benjamin Wittes sat down last week in the new Jungle Studio with Amanda Sloat, a senior fellow at the Brookings Center for the United States and Europe, to talk about all things Brexit. They talked about the thorny issue of the Northern Ireland border, Theresa May's delicate political position, and what might happen if March 29 arrives without a Brexit deal. Benjamin Wittes talks to Carrie Cordero, Chuck Rosenberg, David Kris, Jack Goldsmith and Susan Hennessey about the New York Times's report that the FBI opened a counterintelligence investigation of Donald Trump after the president fired Director James Comey in May 2017. Benjamin Wittes talks to Jaimie Nawaday, a former federal prosecutor in the Southern District of New York, to discuss the indictment of Natalia Veselnitskaya over alleged obstruction of justice in a case Nawaday handled. Nawaday talks about Russian abuse of the American justice system and how Veselnitskaya colluded with the Russian chief prosecutor's office to frustrate American prosecutors. The murder of Heather Heyer in Charlottesville in 2017 and other recent events have drawn into the public discourse the fact that domestic terrorism is not a crime in and of itself. Earlier this week, Benjamin Wittes sat down with two experts on domestic terrorism to talk about ways that it might be incorporated into our criminal statutes. Mary McCord, a professor of practice at Georgetown Law School, a senior litigator at the Institute for Constitutional Advocacy and Protection at Georgetown Law School, and the former acting assistant attorney general for national security at the U.S. Department of Justice; and Jason Blazakis, a former State Department official in charge of the office that designates foreign terrorist organizations, and a professor of practice at the Middlebury Institute of International Studies, joined Ben to talk about their proposals for how domestic terrorism might become a crime. They talked about why domestic terrorism is currently left out of the criminal code, their two proposals for how it might be incorporated and how those proposals differ, and the 1st Amendment consequences of their competing proposals. For this end-of-the-year episode of the Lawfare Podcast, we wanted to hear from you and get your voice on the podcast. You called us with questions, you tweeted your questions using #LawfareAMA, and Benjamin Wittes, Scott Anderson, Bob Bauer, Bobby Chesney, Susan Hennessey, Matthew Kahn, Alina Polyakova, David Priess, and Tamara Cofman Wittes all came together to answer them. We talked about everything from the 25th Amendment, to cyberwarfare, to what's happening in the Middle East. Thank you for your questions. And as always, thank you for listening. This week, President Trump made the unexpected announcement that he was immediately withdrawing U.S. troops from Syria, ending their involvement in the counter-ISIS campaign that the United States has led there for the last four years. As the week went on, it became clear that the decision on Syria was just the tip of the iceberg. To help us make sense of all that has happened over the last 72 hours, Lawfare's Scott R. Anderson sat down on Friday with a panel of Middle East experts at the Brookings Institution: Dan Byman, a senior fellow; Tamara Cofman Wittes, a senior fellow and former State Department official; and Mara Karlin, a nonresident senior fellow, professor at the Johns Hopkins School of Advanced International Studies, and former Pentagon official. They talked about the Syria withdrawal, what it means for U.S. policy in the Middle East moving forward, and about Defense Secretary James Mattis's resignation. The conversation took a turn towards the news: They talked about a hot-of-the-presses Washington Post story naming former attorney general William Barr as President Trump’s leading candidate to be the next attorney general. And, of course, they discussed the Mueller investigation. After that, they turned back to their original purpose, the Task Force report. Since 2011, Yemen has transitioned from the scene of a political crisis to one of the worst humanitarian disasters in the world, but how U.S. policy affects the situation is the subject of little discussion. The United States provides intelligence and logistical support to the Saudi- and Emirati-led coalition fighting against Iranian-backed Houthis in Yemen, and the conflict implicates the future stability of the Kingdom of Saudi Arabia, the U.S.’s longest standing ally in the region. To shed light on the complicated dynamic of the conflict, on October 25, the Center for Middle East Policy at the Brookings Institution hosted a panel discussion on U.S. policy in Yemen, featuring Brookings senior fellows Daniel Byman and Bruce Riedel, former Deputy Assistant Secretary of State Dafna Rand, and Arabia Foundation senior analyst Fatima Abo Alasrar. They talked about the U.S.’s role in the conflict, the extent of the humanitarian crisis, and how the dire conditions on the ground can be alleviated. There is a caravan—you've probably heard something about it. Stephanie Leutert, director of the Mexico Security Initiative at the Robert S. Strauss Center for International Security and Law, has heard something about it. On Friday, Benjamin Wittes caught up with Stephanie to talk about her time on the Mexico-Guatemala border traveling with migrants who are following a trail not unlike that of the caravan. They talked about why people are joining this caravan, what the alternatives to it are, why certain migrants are shunning it, the pushes out of countries like Honduras and Guatemala, and what it's like to be a child on the long trek to the United States. Last week while traveling in the United Kingdom, Benjamin Wittes met up with András Pap, a Hungarian scholar of constitutional law. Pap is a professor with Central European University’s Nationalist Studies Program in Budapest, and the two spoke over breakfast about the decline of Hungarian democracy. They talked about the Fidesz party, Hungary's strongman ruler Viktor Orbán, to what extent Hungary is similar to and different from other European countries, and why Pap was cheerfully having breakfast with Ben talking about all these things and not fearing what would happen to him when he returns to Budapest. In recent decades, both democratic and republican administrations have tried to guide other countries toward liberal democracy. But international relations theorist John Mearsheimer’s latest book, “The Great Delusion: Liberal Dreams and International Realties,” says that strategy has made the U.S. a “highly militarized state fighting wars that undermine peace, harm human rights, and threaten liberal values at home.” Last week at the Hoover Institution’s Washington office, Jack Goldsmith sat down with Mearsheimer to talk about the book. They talked about why administrations try to promote democracy, how that strategy has bolstered non-democratic governments, and whether a more restrained foreign policy could better serve U.S. interests. On October 3, Benjamin Wittes co-hosted an event with his Brookings colleague, Norm Eisen, on The State of Rule of Law in the U.S. Ben moderated a panel on national security and law enforcement with Lawfare contributor and long-time Department of Justice official Mary McCord; former head of the DEA Chuck Rosenberg; and Representative Adam Schiff, ranking Democrat on the House Intelligence Committee. They spoke about the impact of today’s political environment on national security investigations in the Executive Branch; Congress’s conduct in this recent spate of such investigations; and how—under normal circumstances—these two branches are supposed to interact. Back in January, Benjamin Wittes sat down with Mike Doran—a foreign policy and Middle East specialist who served in the George W. Bush White House, State Department, and Pentagon, and is a former Brookings colleague—to discuss his support of President Trump and dismissal of the Trump-Russia allegations and the investigation of L’Affaire Russe. At the end of that conversation, Ben and Mike said they would check in again in a few months to see who was right. Earlier this week, the two sat down over Scotch to talk through Doran’s views on—among other things—the Mueller investigation, the Steele dossier, Carter Page’s FISA warrant, and the congressional investigations into L’Affaire Russe. It’s safe to say that their views have not converged, and Doran’s view of the world differs from the standard fare on Lawfare. Hang onto your hats, folks, this one’s a wild ride. It's easy to spend all our time focusing on American domestic politics these days, but the rest of the world is not going away. Take the European Union, for example—our neighbors from across the pond, and one of the US's most valuable economic and security relationships. There's a lot going on over there, and some of it even involves us. How is that relationship faring in the age of tariffs, presidential blusters, Brexit, and tensions over Iran sanctions? To figure that out, Shannon Togawa Mercer and Benjamin Wittes spoke to David O'Sullivan, the EU Ambassador to the United States. They talked about the US-EU trade relationship, Iran and Russia sanctions, Privacy Shield, the rule of law in deconsolidating democracies in the EU, and more. On Wednesday, Brookings Senior Fellow Robert Kagan sat down with Susan Glasser of The New Yorker to discuss Kagan's new book The Jungle Grows Back: America and Our Imperiled World. In the book, Kagan argues that, like the jungle that keeps growing back, dangerous global actors, when left unchecked, will create chaos. Kagan and Glasser discussed whether the American public tends to support foreign policy that focuses on international withdrawal or unilateral intervention, whether the Trump foreign policy will enable faster growth of dangerous actors, and whether the America of 2018 has parallels to the U.S. in the 1920s or 1930s. If you ask scientists what is most likely to kick off the next great wave of technological change, a good number will answer “quantum mechanics”—a field whose physics Albert Einstein once described as “spooky,” but whose potential, once tapped, could unleash exponentially faster computer processes, unbreakable cryptography, and new frontiers in surveillance technology. No one understands this better than the People’s Republic of China, who over the last several years has built up an aggressive state-driven campaign to accelerate the development of quantum technology—a set of policies intended to put it at the very front of the pack of the next technological revolution, and all the competitive advantages it is likely to bring. On Friday, former Trump campaign chairman Paul Manafort entered a plea agreement with the special counsel. To figure out what it means for Manafort, the Mueller investigation, and President Trump, Benjamin Wittes spoke to former Obama White House counsel Bob Bauer, independent counsel prosector Paul Rosenzweig, and Lawfare managing editor Quinta Jurecic. Judge Brett Kavanaugh faced the Senate Judiciary Committee in Day 1 of a two-day marathon Q&A session for his nomination as an associate justice of the Supreme Court. We sat through it all so you don't have to. We've cut out all the garbage and are bringing you just the questions and answers on legal matters related to national security, presidential power, and presidential investigation. The New York Times reports that CIA human sources in Moscow are drying up. The newspaper speculates that this may be because of the political environment in the United States, an environment in which the president tweets about the intelligence community and the Steele dossier, and the House Intelligence Committee goes after human sources and outs them. John Sipher knows something about human sources in Moscow. He was stationed there for the CIA in the 1990s and had to deal with sources. He joined Benjamin Wittes in the Jungle Studio to talk about the fragility of those operations, the plausibility of the New York Times story, and what we could do tamp down negative impacts on intelligence collection.